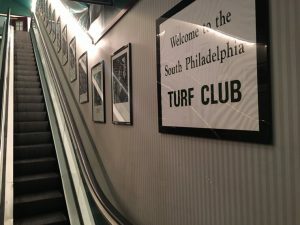 Will Turf Club’s Proximity To Philly Stadiums Propel Its Sports Betting? Home Turf Advantage: Will Turf Club’s Proximity To Philly Stadiums Propel Its Sports Betting? Based on the sparse crowd at the Turf Club from about 6:30 p.m. until shortly before the Sixers took the court just a few city blocks away at the Wells Fargo Center, that horse player and his buddy on the other end of the phone weren’t alone in being slow to get the memo. 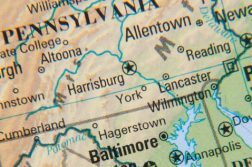 The Turf Club officially opened its sportsbook last Thursday, Jan. 17, following the standard two-day soft launch, becoming the fifth legal brick-and-mortar sports betting venue in Pennsylvania. Getting the word out will be a gradual process. Monday night also didn’t feature ideal conditions for the bet-live-watch-live combo in South Philly, given that the temperature had dropped to 15 degrees (before factoring in the brutal wind chill) by game time. Walking just under a mile from the Turf Club to the arena was nobody’s idea of a comfortable stroll. So take Monday’s anecdotal evidence of light sports betting traffic at the Turf Club with the proverbial grain of salt. Certainly, the ingredients are there for it to become a sports wagering destination. “Especially when the Phillies are playing and it’s nice out and it’s a nicer walk, I think it’ll do well,” Mario Machi of Ardmore, Pennsylvania, told Penn Bets on Monday. Machi had tickets to the Sixers game, and he was thinking of stopping by SugarHouse Casino to place a few bets before the game, but instead decided to check out the newly opened Parx Race and Sports Book at the Turf Club. The space is indeed enormous, with seats and tables everywhere and TVs on every wall. Greenwood Gaming, the parent company of both the Turf Club and Parx Casino, which opened its sportsbook two weeks ago, put about $1 million into renovations, including installing nine Kambi betting kiosks. Machi did his betting at one of the kiosks rather than walking up to one of the seven windows labeled “sports betting.” He made both a Sixers moneyline bet (they won 121-93) and a bet on James Harden to score under 40.5 points (another winner, as the reigning MVP tallied 37 before sitting out the fourth quarter of the blowout). Since mobile sports betting went live in New Jersey last summer, Machi has played on both the DraftKings app and the PlaySugarHouse app when traveling across the state line for work. 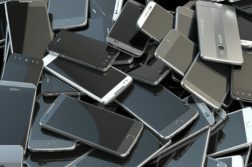 Even though online betting isn’t available in Pennsylvania yet, Machi, a frequent daily fantasy sports player, took advantage of the mobile technology that is available before putting money into the machines at the Turf Club. “I was just looking on the Parx website before I came over here,” Machi said, “because you can check the odds and plan your bets out, which is nice.” Machi was referring to Parx’s “bet slip builder” app, which allows bettors to do everything online except place the actual wager. 76ers season ticket holder John Flaherty of Drexel Hill, Pennsylvania, also placed a couple of winning bets — on the home team to cover in the first half and at the end of the game — before heading to the arena. “Most likely, I’ll stop here before every home game,” said Flaherty, who describes himself as a frequent sports bettor. He’s used offshore betting sites in the past, but says that will stop now that he can bet legally in his home state, knowing that the operation is regulated and his money is secure. Monday night’s game was the second Sixers home game since the official opening of the sportsbook (and third since the soft launch). The NHL’s Flyers, who play in the same arena, had one home game after the soft launch, last Wednesday. 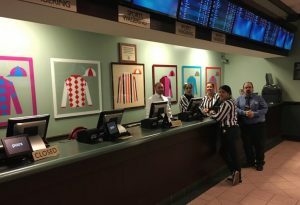 Chris Filoon, a manager at the Turf Club, confirmed what our eyes told us on Monday night: that the combination of sports betting and home games hasn’t caused a huge spike in business yet. “It’s picking up a little every day, as people are starting to find out that we have sports betting here,” Filoon told Penn Bets. “I’ve seen some people come in wearing Flyers gear. And we got a nice little crowd for the football games on Sunday. Even closer to the Turf Club than the Wells Fargo Center are Lincoln Financial Field, where the Eagles play, and Citizens Bank Park, home of the Phillies. “We’re really right here in the hub of where the sports activity in Philadelphia takes place,” Greenwood Gaming Chief Marketing Officer Marc Oppenheimer said last week at the grand opening. For now, you’ll hear more people screaming for their horses than hollering when a three-pointer goes through the net. But that’s partially a symptom of the season. From a “location, location, location” perspective, it seems almost impossible for sports betting at the Turf Club to fail. They just need the word to spread — and the sun to come out.